On 21st June 2018, Elementos Limited signed a non-binding Memorandum of Understanding (MOU) with Empire Tin Mining Sdn Bhd (Empire), with the intent on finalising exclusive negotiations for a Farm-In and Joint Venture Agreement on the Temengor Tin Project in the State of Perak, Malaysia. The Temengor tin mine is an historic mine that is focused on tin exploration and development, and is located approximately 250km north of Kuala Lumpur. 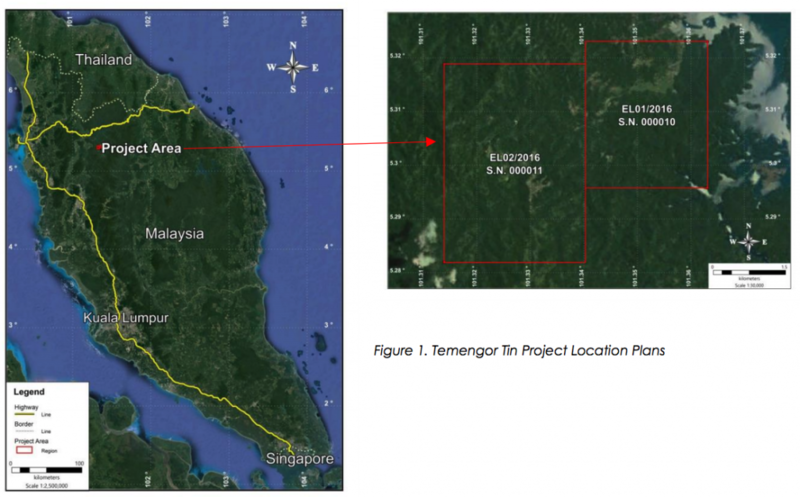 Empire’s Directors recognised the significance of the Temengor region for potential to contain a significant hard rock in resource, and successfully located the historical mine site in 2013 following detailed research of archived geological and company reports, as well as newspaper articles. Finalise a Farm-In and Joint Venture Agreement, which is intended to be an exploration and development project consisting of two licences. Provide each party with assistance in finalising the transfer of 100% of the Exploration Licenses to Empire from Menteri Besar Incorporated. Develop a detailed exploration and development plan, and budget for the project. This will capture environmental management and employment of an impact on the people of Perak as important stakeholders in this project. Provide mutual assistance throughout the life of the project at all levels from Regulatory Approvals to Human Resources and Project Funding, among other things. Parties originally had 30 days in which to formalise the MOU into a formal Agreement. The period of negotiation of the Agreement was extended on 27th August 2018 for a further 60 day period. 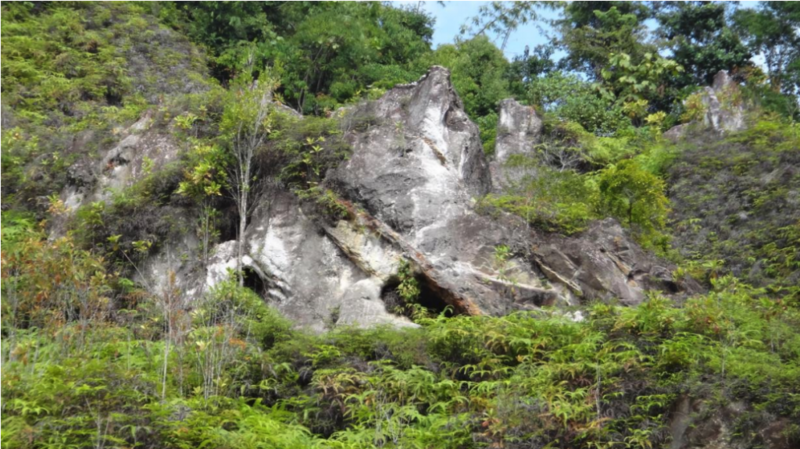 Parties intend to start exploration work as soon as possible following the transfer of the Exploration Licences, in accordance to the Mineral Development Act 1994, Mineral (Perak) Enactment 2003 and Mineral (Perak) Regulations 2008. MOU may be terminated by either party on writing notice and it provides a framework for the co-operation towards potentially binding agreements regarding the Exploration Licences. Elementos is currently working towards finalising and executing definitive documents. Historically, the Temengor Mine operated as a hydraulic elluvial mining operation between 1926 and 1931, by the London Stock Exchange-listed Temengor Tin Mining Company Limited. Up to ten monitors (water jets) were used to remove deeply weathered granite which contained sheeted quartz veins containing cassiterite (mineralised tin). Tin was extracted from this material by hydraulic mining by a series of sluices or ‘palongs’, and historical records indicate that production was sporadic, mainly due to poor water supply. The then developers had planned to convert to hard rock mining methods in the early 1930’s, but this was called off due to a shortage of operating capital during the Great Depression. Archived records indicate that all hard rock exploration activities on the Temengor project area ceased in 1937, with road access being cut-off by the construction of the large Temengor Dam in 1978. The project area is covered by two exploration licences which cover a total area of 1950 hectares. Empire has exclusive right to the transfer of both licences from Menteri Besar Incorporated, a Perak State-owned investment corporation.